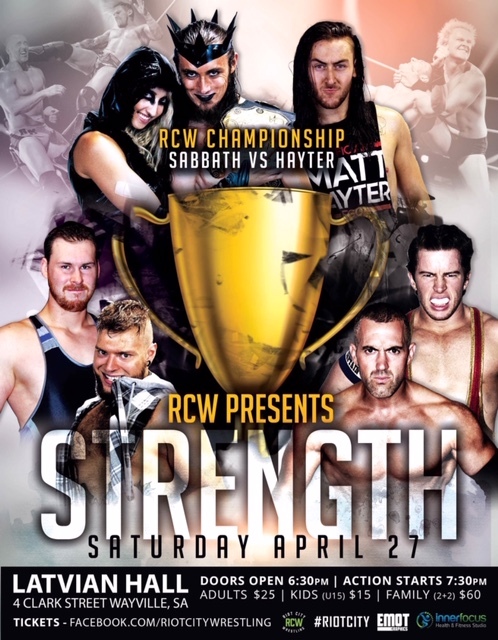 Riot City Wrestling presents STRENGTH. -& more to be announced! Show Starts - 7:30 pm.